1) First things first, you are a member of the Horror Writers Association which is not an easy thing to do. You have to sell some books. How did you get on board? (TJ:) I achieved active status in the HWA largely on the success of my comic book work. ILL CONCEIVED is a 32-page one-shot that sold well here and abroad. CATCHING LUCIFER’S LUNCH is 56-page, water colored graphic novella. It was also the first 100% Brothers May product. 2) I’ve read and enjoyed them both. CATCHING LUCIFIER’S LUNCH and ILL CONCEIVED are probably your most notable comics to date. You play ball, so pitch them to us. 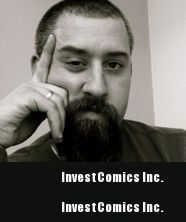 (TJ:) Yes, that’s true of my comic book work though I have some recent success in the short story markets. 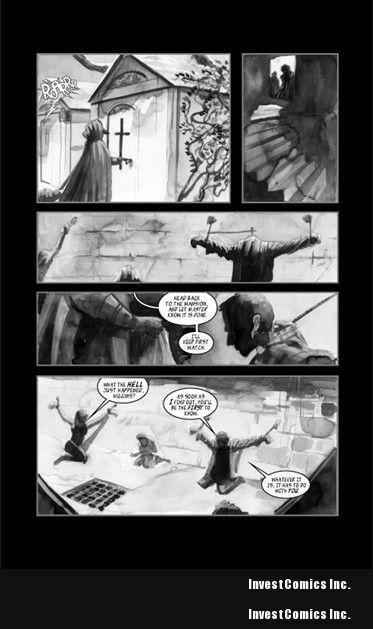 CATCHING LUCIFER’S LUNCH is a Lovecraftian tale that has been compared to the works of Neil Gaiman and Dave McKean. It’s about a young man that has to go on an “Inferno” type quest through Hell to retrieve the soul of a loved one. Robed cults, blood sacrifices and denizens of Hell abound. ILL CONCEIVED is the story of a young woman named Bridgette who has to choose between having the child she’s always wanted and screwing over the entire human race. It’s about a May/ December marriage that hits a skid when Bridgette decides she wants to have kids. When she ends up having an emergency hysterectomy, the hubby thinks they are in the clear. But the cause of the surgery, and Bridgette’s unceasing desire to become a mother, turns this into an X-Files sort of tale. team on submissions to “Shroud” magazine too. How would you describe your brother’s art style and who would you compare him to? (TJ:) Jason is an artistic chameleon. He studied fine art illustration, painting, sculpting and art history in college. He can paint the Sistine Chapel one day and vacuum form a Storm Trooper costume for you the next. He’ll tell you he feels most comfortable cartooning, his true love. But for our horror work he reminds most of Dave McKean, P. Craig Russell, Duncan Eagleson and any number of the SANDMAN-type artists. 4) On ILL CONCEIVED you teamed up with Shelton Bryant on the sequential artwork (Chris Whetzel did the cover). His art is very different from Jason’s. Why did you go with Shelton on this piece? (TJ:) That came about for several reasons. We had just gotten rejected by Diamond on our first project. From their feedback we got that they liked the story and all of the design work, but Jason’s story telling was not up to snuff yet. Shortly thereafter I took the weekend seminar for Robert McKee’s STORY class. I wanted to put the skills I had learned to immediate use and scripted ILL CONCEIVED. 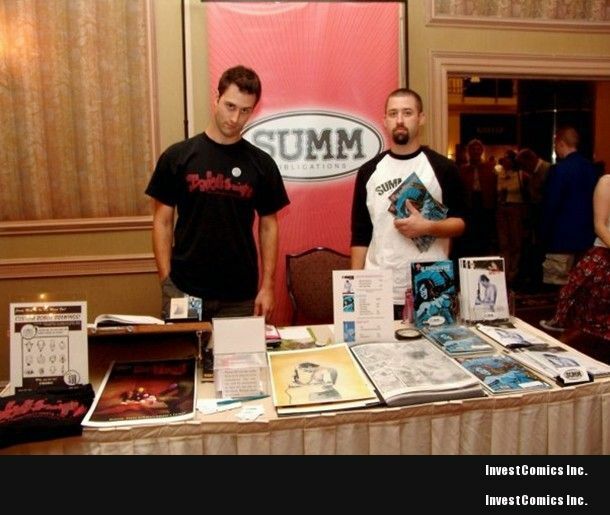 We had booth space at Wizard Philly in a few months and no product to speak of so we hired Shelton and Chris to bang out the artwork, Jason worked his design magic, we printed 300 copies on-demand and sold 250 of them in three days. Diamond actually came to us at that convention and about eight weeks later we were listed in Previews. 5) Getting back to “Shroud” magazine, The Brothers May have become a fixture with this anthology collection. How did you hook up with the magazine and where can we get our hands on current and back issues? (TJ:) Shroud is distributed nationally to Barnes and Noble and the like. You can also find it on Amazon and at www.shroudmagazine.com. I’d sent in a story to Shroud about six months before the last economic crash; their response time was three months but I hadn’t heard anything. After going to San Diego, I had a couple comic companies interested in an anthology series. Since three months had passed, I gave Tim Deal (editor of Shroud) a call to see if it was indeed rejected because I wanted to include it in my submission package for the comic series. We ended up talking for a few hours. He liked the story a lot but the recent downturn in the economy threw his business plan out of whack and he wasn’t sure how it was all going to unfold, so he didn’t want to commit to anyone just yet. During our conversation, he mentioned he wanted to add more art to the book so I suggested that Jason might be up for including some illustrations. Tim liked that idea so much that he offered us a featured section in each issue titled The Brothers May Present. We came up with a deal that worked for all of parties and it’s been a great relationship. 6) In addition to being a card-carrying member of HWA, you are also very active in the New England Horror Writers association (NEHW). NEHW has Bram Stoker award winners and nominees. Who are some of the marquee and undiscovered writers that you’ve met in this gory little group? (TJ:) NEHW has really made a big push over the last couple years. I serve as treasurer, events coordinator and I’m on the “board of directors” so to speak. 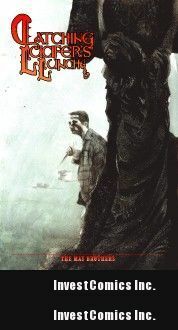 2011 will mark the first ever NEHW anthology and I would expect it to garner some Stoker buzz over the winter. Our members are made up of folks from the six little states of New England, but we have about half the number of members that the HWA does (which is an international organization). Off the top of my head the notables are Rick Hautula, Christopher Golden, Dan Keohane, Tracy Carbone, Jack Haringa, L.L. Soares, Glen Chadburne, Bob Booth and NECON E-Books, and the list goes on. We also get support and advice from non-regional authors such as Jack Ketchum, F. Paul Wilson and Sarah Langan. 7) Back to you … By day you are a behavior therapist to children with autism. By night you are a purveyor of dark fiction. Anything you learn from your day job that has inspired you to write some of your stories? (TJ:) My day job certainly provides me with an overflowing river of characters and traits. You’d be surprised that these rarely come from the kids and more often from colleagues. My life as a whole informs my writing in every facet. But what my day job really teaches me is patience, unconditional love and how lucky my wife and I are that our four boys do not have some of challenges our students and their families deal with. 8) Which of your projects would translate into a killer film – either a short or feature? (TJ:) I get at least one phone call a year from Hollywood inquiring about ILL CONCEIVED and I think that has the most legs. Actresses such as Jill Wagner (AKA “The Mercury Girl”) and Cerina Vincent have read it and expressed interest in the character, but that’s as far as it’s gone. I think ILL CONCEIVED and CATCHING LUCIFER’S LUNCH would be the only two that could carry a feature without adding a lot of material. The rest would make wonderful shorts. I would love to be a part of an anthology series like Masters of Horror, Fear Itself, Tales From the Crypt, etc. 9) Since you work with children and have 4 boys of your own DNA, have you ever considered doing a children’s ghost book? (TJ:) Not necessarily a ghost book, but something along the lines of Wizard of Oz or Alice in Wonderland has crossed my mind on several occasions. 10) What do you have locked and loaded that we should keep our eyes peeled for? And where can we stalk T.J. May on the net to keep up with all your creative musings? My internet home is www.tjmay.net. My comics are also available there. There some bugs to work out; in fact my email isn’t working, but fans can contact me at tjmayhorror@gmail.com. At this time I will have some stories out in Shroud over the next few months. I’ll be returning to comics soon and have some short stories accepted into anthologies but I cannot publicize them just yet. I’m also on Facebook and my Twitter name is TJMAYHORROR.